Is Social Media to blame for continued Driving and Dialling? 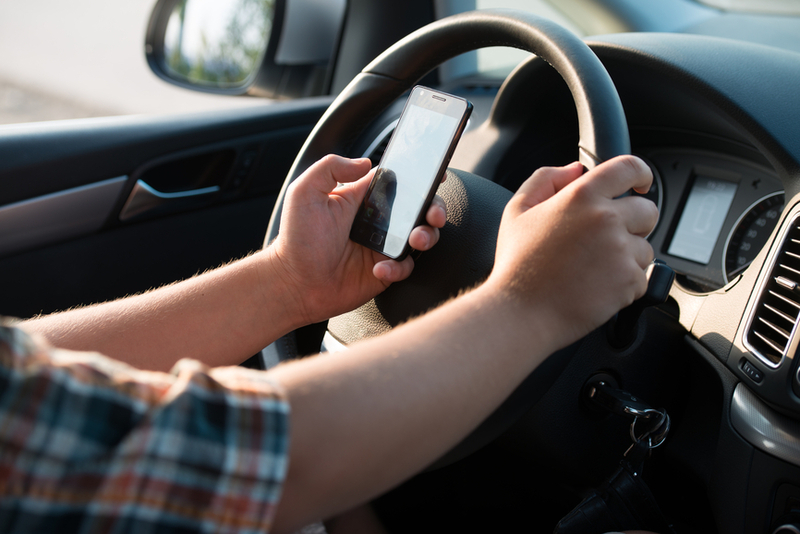 The latest statistics from the Department for Transport reveal the disappointing news that hundreds of thousands of motorists across the UK are still using their mobile phones at the wheel, despite it being illegal. The data has also shown that social networking websites are a leading reason for the phone use whilst driving. The statistics which looked back at driving throughout 2014 found that over 500,000 motorists were said to have used their mobile phones whilst driving, and this figure is up nearly 50% on 2008. Despite the law banning the use of a handheld mobile phone whilst driving being in place since 2003, things seem to be getting worse. Leading figures, backed up by the statistics in this latest report, believe that an addiction to social media, especially amongst younger drivers on the road, is partially to blame for the increase. The groups said to be most likely to use their mobile phone whilst driving are younger drivers, aged between 17 and 29 and those driving vans. The report also found that over 60% of all people using their mobile phones whilst at the wheel were sending texts or accessing social media. The growing culture of addiction to social media and being constantly connected poses a real threat to safety on our roads. Many drivers simply don’t connect their need to update their Facebook status with the danger taking their eyes of the road causes. The immediate nature of social media has made it almost imperative for many people to reply to messages instantly, regardless of the danger this may cause. The safest way for drivers to ensure they don’t risk temptation is to store their phone and devices out of reach whilst driving. Putting your bag in the boot for example means you are obliged to wait until you reach your destination to check it and therefore can focus your whole attention on the road whilst driving. It is illegal to use a handheld mobile phone when driving, for any purpose, not just making calls. You can’t send messages, check social media or check the time on your phone, even when you’re in stationary traffic or at traffic lights. The only exceptions are when you are safely parked or require an emergency service and need to call 999. If you are found to be driving and using your mobile phone you will be issued with a fine of £100 and will receive three penalty points on your driving licence. As recently as this week the Chief of Police, Suzanne Davenport has asserted that the growing problem of drivers using their mobile phones is being ignored by politicians, for fears it will be unpopular with voters. She shared her thoughts in response to the release of this Department for Transport report and believes harsher penalties are required for our safety, especially when mobile phone users continue to flout the current law. At Lamb & Co we believe it’s possible to strike a balance between keeping up to date with your messages and media and driving responsibly, and the two should never be combined.